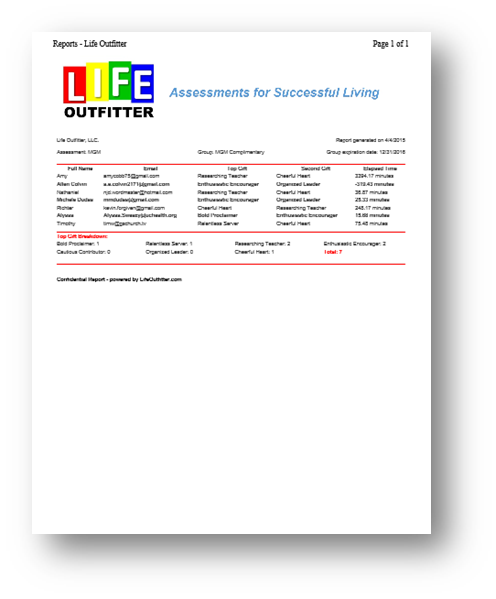 Advisors are independent of Life Outfitter, LLC and usually charge a fee for their services. Life Outfitter does not suggest what the fees are, we only support the concept that a “Laborer is worthy of his wages” 1 Timothy 5:18. Advisors provide debriefs as needed to help participants understand their report results. The MGM provides Advisors with the opportunity to encourage and engage in deeper Spiritual mentoring more rapidly. We put the logo and contact information of an Advisor on every report. We also show the Advisor logo during the assessment process. .
Assessment groups provide an easy way for an advisor to share the assessment link and results with a group leader. 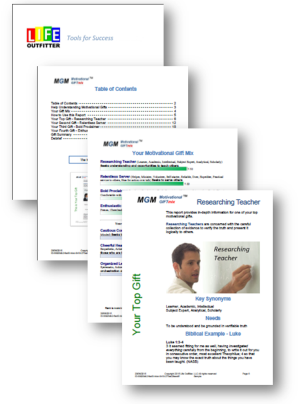 Group reports provide an easy way to share and discuss results with others. Use any group you like. For example, people have created groups out of families, classrooms, Bible studies, ministry teams, volunteers, departments or leadership teams. Setting up and training an Authorized Advisor takes a unit of work. Our suggested donation for Advisor setup is $200. 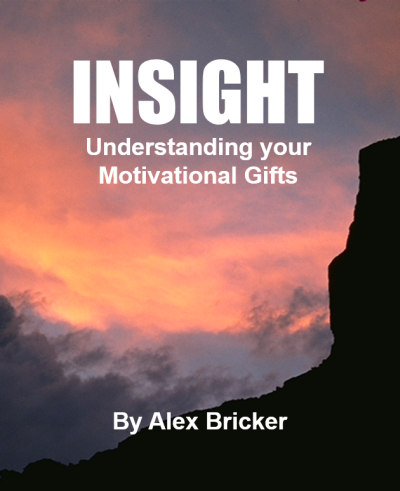 Alex Bricker’s book INSIGHT - Understanding your Motivational Gifts is a wonderful resource for anybody wishing for a deeper understanding of motivational gifts. For Advisors, it is required reading.